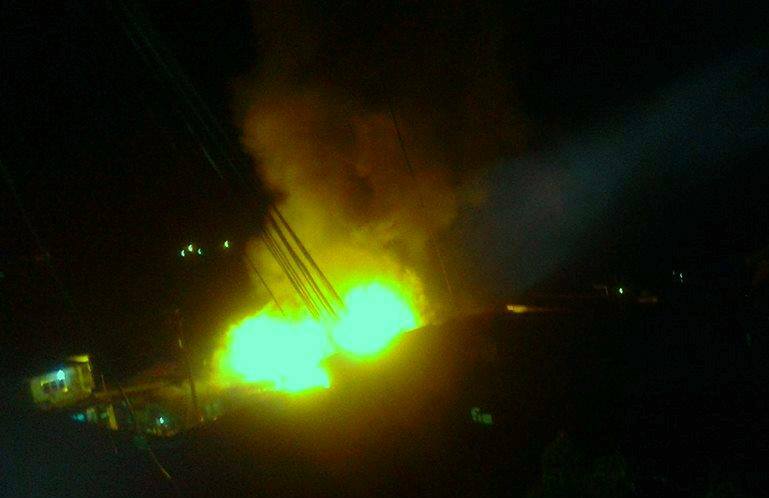 Around 15 houses including several business establishments were razed by a huge fire that hit barangay Poblacion in Mankayan, Benguet on Thursday night. The fire reportedly broke out around 7:00 pm. Firefighters, residents, and volunteers put out the fire around 10:30 pm. Fire-out was declared early dawn on the next day. The authorities are still investigating what caused the blaze. All of the houses and establishments burned are located along Aurora Street just beside the town's plaza. The municipality's fire department weren't enough to contain the fire so firefighters from nearby municipalities rushed into the area to help. Firetrucks and staff came all the way from Buguias, Bakun, Atok, Tadian, Sabangan, and Cervantes (Ilocos Sur). Private water delivery businesses like the Abatan Water Delivery Association also lent a hand in putting out the fire. Nobody was killed nor seriously hurt during the incident although five individuals suffered minor injuries. Those displaced by the fire were temporarily housed at the municipal hall and at a nearby church. Meanwhile, netizens voiced out their support and prayers for those affected. Caesar Salcedo, a Baguio City-based singer who hails from Mankayan said he's planning to hold a benefit gig for those affected by the fire.